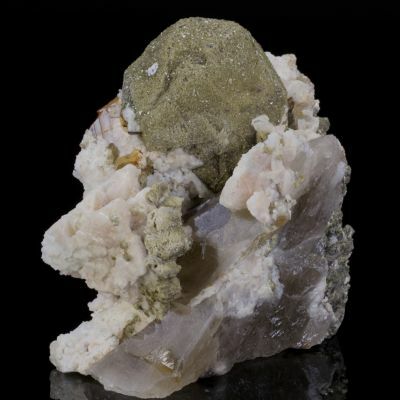 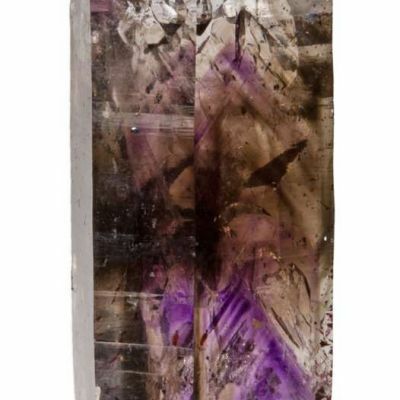 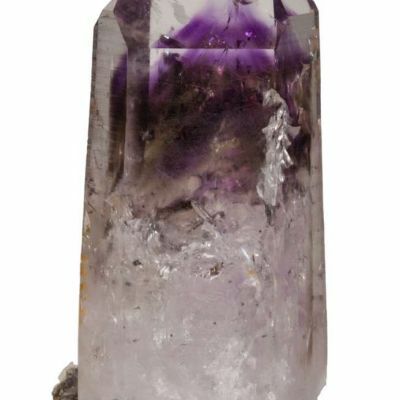 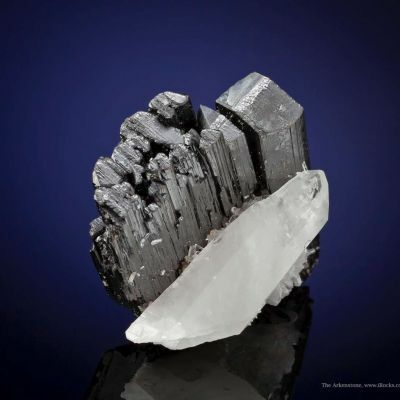 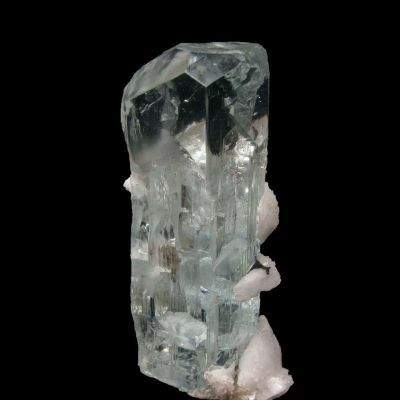 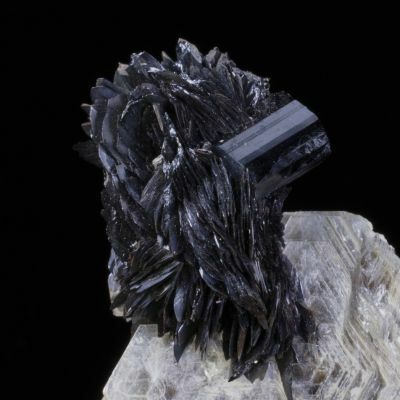 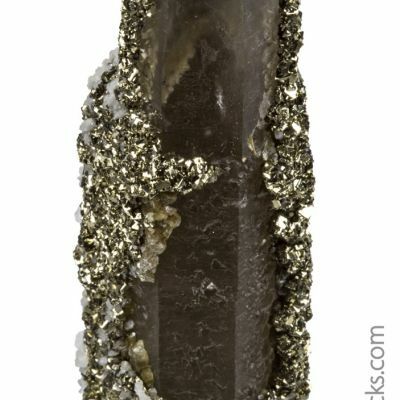 A pseudomorph specimen from the famed Mundo Nuevo Mine of Peru. 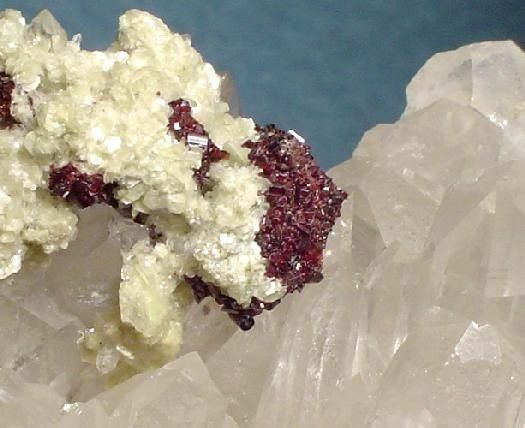 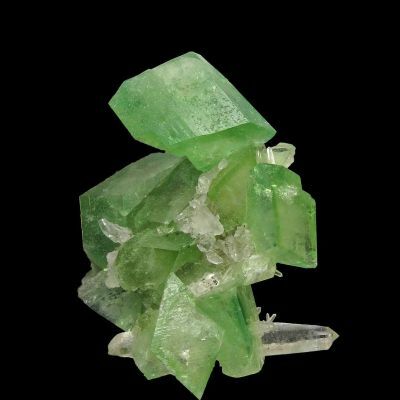 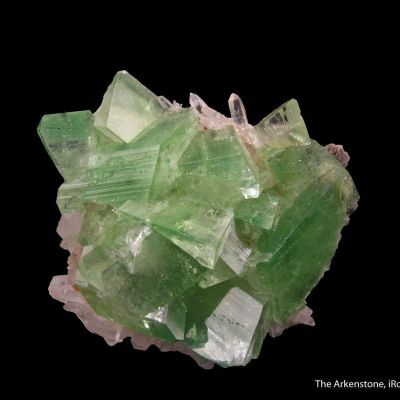 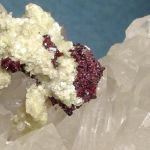 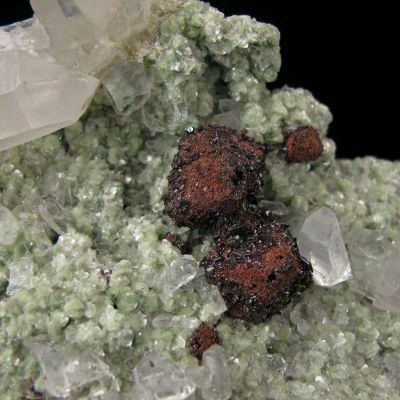 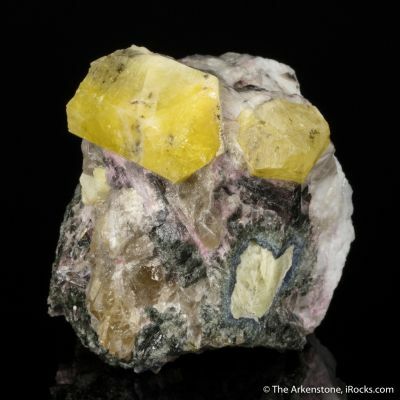 A 1.1 cm, lustrous and gemmy, bladed, blood-red hubnerite pseudomorph after an octahedral scheelite crystal sits at the end of an arch composed of tiny, lustrous, pastel-green muscovite blades. 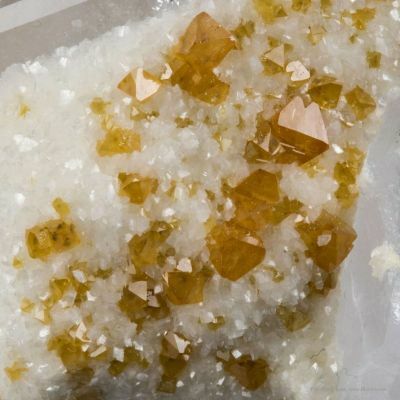 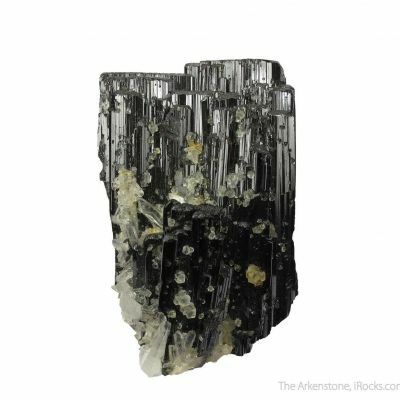 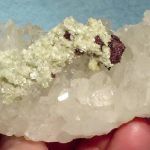 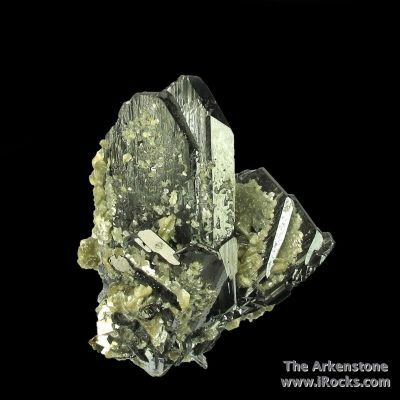 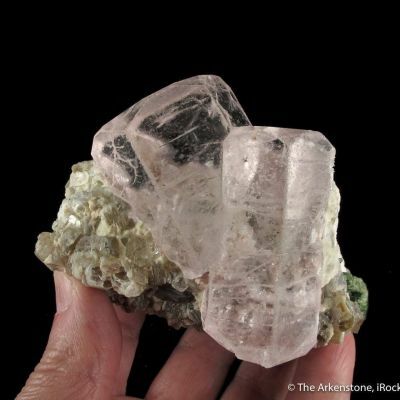 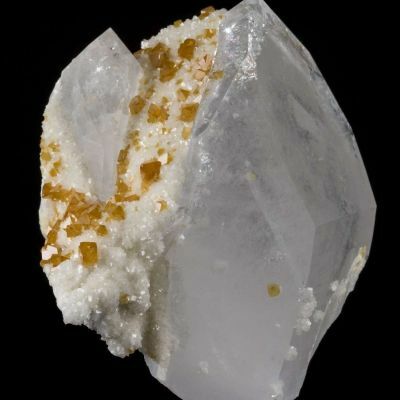 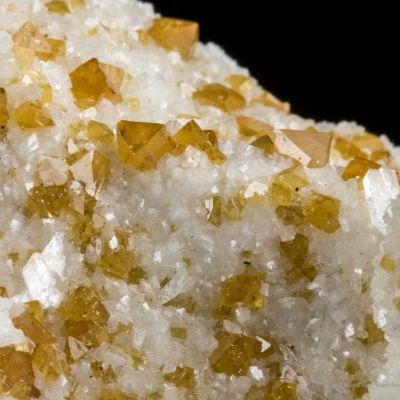 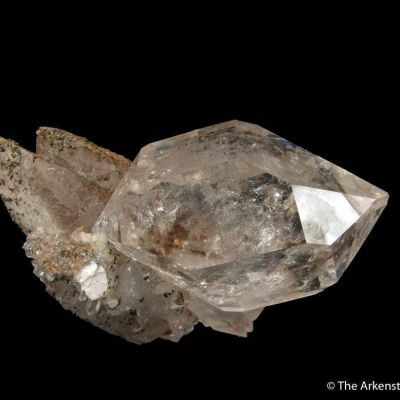 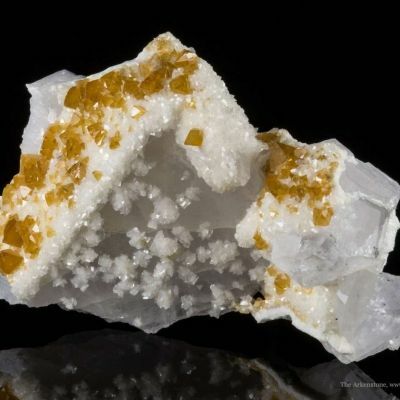 The hubnerite pseudo and the muscovite arch are beautifully draped across a plate of water-clear and glassy quartz crystals.